Livestock is a vital branch of agricultural science which is primarily focussed on breeding, reproduction, and improvement of body structure and lifelong productivity enhancement among dairy and beef cattle, swine and poultry. These food producing animals play a crucial role in the livelihood of human population. To maintain an optimum production benchmark, farm owners need to focus on reproduction and quality breeding which will indirectly have a positive impact on the livestock pregnancy testing devices market. Hence, it is important for the farm owners to have a routine diagnosis of pregnancy among these animals. Livestock pregnancy testing devices plays a vital role as in some cases pseudo-pregnancy in animals may cause loss of valuable time and effort of farm owners and veterinary physicians. Currently, these livestock pregnancy testing devices are emerging with more advance technologies and easy to use diagnostic platforms that are effectively used by veterinary professionals for result accuracy. These livestock pregnancy testing devices are used along with the conventional immunological testing kits. Cattle producers and veterinary professionals have always relied on a single method to determining pregnancy in livestock animals. However, with recent changes in technologies and availability of advance pregnancy diagnosis and examination equipment, these advance livestock pregnancy testing devices are considered as a gold standard in the practice of veterinary medicine. For livestock producers, early identification of the females and time to time testing to determine pregnancy and remove the chances of pseudo-pregnancy in these animals can have a better evaluation of fertility which can be of economic advantage to the livestock producers. Further, rising adoption of livestock pregnancy testing devices and increasing installed base of livestock pregnancy testing devices, increasing awareness among the farm owners and growing veterinary care spending for animals are few key factors leading to increased revenue generation across the livestock pregnancy testing devices market. The current challenge in the livestock pregnancy testing devices market remains the detection of early pregnancy testing among these animals and accurate identification of the cattle or swine which fails to conceive. Also, increasing competition among the small domestic players with respect to aggressive pricing poses a threat to the key players operating in the livestock pregnancy testing device market. With rapid adoption of pregnancy testing among farm animal owners, the livestock pregnancy testing devices market is expected to have a healthy growth during the forecast period. The increasing awareness among the farm owners coupled with increasing technological advancement will result in boosting the growth for livestock pregnancy testing devices market. Veterinary Hospitals followed by veterinary clinics will remain the most lucrative end users in livestock pregnancy testing devices market. Brazil remains the most lucrative market in Latin America and Caribbean region in cattle production, which holds the maximum market share in the livestock pregnancy testing devices market followed by India and China in Asia Pacific region. 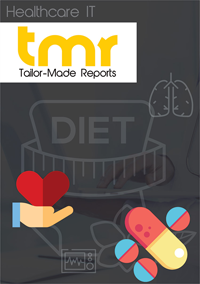 The Asia-Pacific and Latin America market is anticipated to witness significant growth owing to the high adoption of livestock pregnancy testing devices in healthcare facilities and among the service providers. MEA region is expected to witness moderate growth rate due to the poor healthcare infrastructure in most parts of the region as well as unavailability of healthcare services to most of the population. Some of the key players in the livestock pregnancy testing devices Market are BioTracking Inc, Zoetis Services LLC., IDEXX Laboratories, Inc, DRAMIŃSKI S. A., FarmTech Solutions, Inc., IMV Imaging, Renco Corporation, BMV Technology Co., Ltd and others. All the key manufacturers in livestock pregnancy testing devices are concentrating more on new technologies and devices.